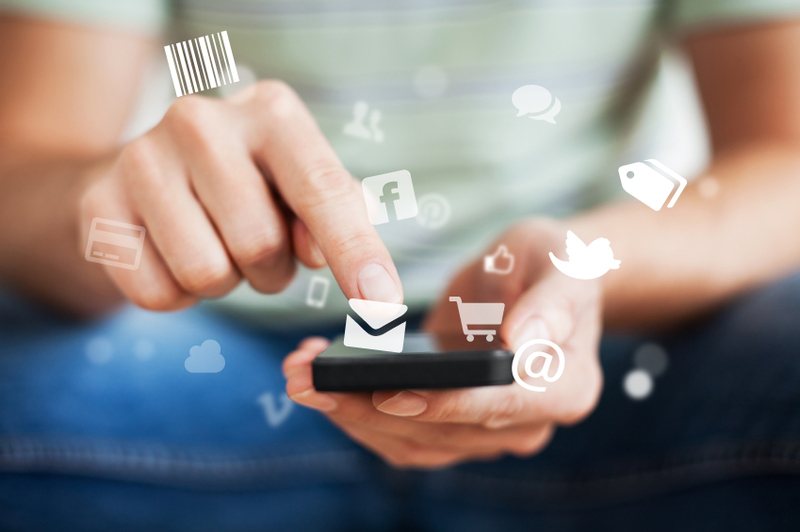 MESH sees mobile as continuing to grow in importance as a mode of data collection. What was originally considered a gimmick is now accepted as mainstream – with the publication in HBR a critical milestone in gaining credibility. Editor’s Note: Edward Appleton is doing a series of posts focused on the client-side view of mobile research, with an emphasis on use cases and best practices learned so far. This is the third post in that series of posts that we’ll be publishing over the rest of the month. Part 1 & 2 can be found here. MESH is a relatively new but powerful player in the Research space. Founded in 2006 by Fiona Blades, the company pioneered the use of mobile in touch-point analysis. Its central tool – Realtime Experience Tracking (RET) – was described by Harvard Business Review as “A New Tool radically improves Marketing Research” (09/ 2012). With its head offices originally in London, MESH has now expanded internationally, with offices in Singapore, New York and Sao Paolo. The company works for major multinationals including PepsiCo, Diageo and Unilever, LG Electronics and BSkyB – pretty impressive for a company that has existed only 7 years. Fiona Blades, founder and Chief Experience Officer, shared her thoughts with me on the role of mobile in market research – or experience monitoring, in MESH parlance. The origins of MESH and mobile tracking go back to the early 2000s. In her capacity as an advertising campaign planner for UK ad. agency Claydon Heeley she consistently noticed how traditional advertising tracking monitoring wasn’t picking up on the full range of brand touch-points. “I knew from friends, and personal observation, that it wasn’t just TV advertising that was influencing a purchase decision of, say, a car. Seeing the neighbors’ car, going online, reading reviews…. there were many influences that we simply weren’t picking up” is how Fiona described it. The critical commercial insight was that companies were missing potential opportunities. This prompted Fiona to explore options to plug the touch-point gaps. In 2001, Fiona conducted a one-off experiment in soft drinks communications research to validate what was initially a hunch. The use of mobile was central to the new approach: respondents were briefed to behave like researchers – taking their mobiles with them at all time, recording all their experiences on the mobile in a minimally intrusive manner. The experiment suggested there was an idea there: when recording experiences on their mobiles, a higher number of touch-points with a greater diversity was registered than traditional touch-point methodology. The role of the “supporting media” – whether it be POS, outdoor, ambient to name a few – was up-weighted, the overall media picture more accurate. And critically for decision making: the reporting was real-time, results were available in a matter of days, hours even, far quicker than traditional tracking reporting. This initial success encouraged her to work on a simple tool designed to utilize mobile to capture experiences – Real-Time Experience Tracking (RET – see below ) and officially start Mesh Planning in 2006. – Phase 1: Brand understanding: typically done on the laptop/desktop, this elicits data on brand awareness, knowledge, usage, perception. Persuasiveness: how likely to choose next time? The options are limited, but include an “other”, and are pre-coded with a letter or number, so each respondent only gives a set of four digits. This is designed for speed and ease of response. During this phase, respondents are also asked to maintain an online diary, typically on their laptop, where they are asked to describe experiences in more detail, upload photos. Probing questions specific to a client can be included here. Doing this on a smartphone would yield far less rich data, hence the use of traditional online. Phase 3 – Data capture, again relating to brand knowledge/usage – and mirroring the questions posed in Phase 1. This allows a measure of pre-post shift. Respondents are treated in a different way in this tool: they are briefed to become a researcher. This heightened involvement helps ensure richer responses, and is designed to pick up far more accurately on all and every touch-point. Immediacy of response: mobile captures the reactions in-the-moment, including the way it makes respondents feel. Little is lost due to memory gaps. Speed: mobile data capture and analysis is far faster than traditional tools. Feedback and top-line is available in days rather than weeks. This has major economic implications. Full coverage: mobile is always with one, always on – it captures all experiences, not just those that are most salient and mentally available. Enhancement of communications effectiveness: RET measures the relative influence of touch-points on the likelihood to choose a service or product in future. This allows under-performing touch-points to be quickly identified, and an optimized mix introduced. As media continues to fragment, this ability to fully cover experiential touch-points – as opposed to media-driven ones such as TV – is a key advantage of mobile. Quant or Qual? Duration of Study? A project typically lasts six weeks, with each respondent engaging for a week. What Typical Types of Research Is Mobile Relevant For? Thanks to the speed of data-capture, and the improved accuracy of touch-point pick-up, the tool gives marketing decision makers a much greater ability to optimize their campaigns faster. Touch-points that are under performing can be ditched, monies re-directed to areas that resonate strongly. Importantly: budget re-allocation is possible (at least theoretically) during a campaign. This saves immense amounts of money being wasted on the wrong media. Gatorade in Mexico had decided to re-position from a general sports drink to a specialist sports nutrition product. Whilst the company possessed much research data on the re-positioning message, their decision to invest in experiential touch-points such as parks and gyms was less well grounded in empirical evidence. They tasked MESH with executing a mobile-based study, asking the key question: was this channel-based investment working? Mesh recruited 400 respondents, asked them to text about their experiences and interaction with Gatorade and its competitors over a one week period (the project duration was 6 weeks in total), and complete questions about brand image both pre and post the mobile diary phase. The marketing team took action immediately on these insights. 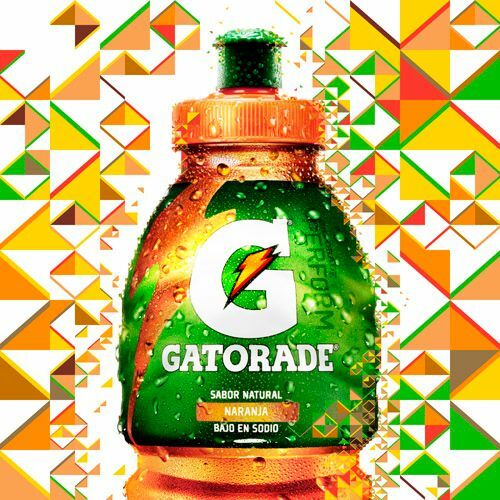 The launch proved hugely successful, and became the blue-print for the Gatorade roll-out in Brazil. The RET tool allows brand owners to see exactly which touch-points are used more, which less over a period of time leading up to a purchase event. Using mobile research to helps create a distinctly granular path-to-purchase that previously was not available in that level of detail. Brand owners can optimize their Customer Decision Journey model, and create distinct journey paths for different segments of shoppers. The interplay between online and offline can be well understood. Behaviorism data (through cookie tracking) can be overlaid onto attitudinal data. The following case study shows how mobile tracking can be used not just in brand advertising, but also for political campaigns. MESH joined up with Cranfield School of Management to pioneer a new way of monitoring the shifts in voting intent amongst “floating voters” in the immediate run up to the 2010 UK elections. The RET system was adopted. 900 British floating voters recorded their perceptions (over 18.000 experiences registered) of the main political parties Conservatives, Labour, Liberal Democrats (Lib Dem) over the period of final weeks in the run up to the British election (6 May 2010). Social media was underutilized: only 3% cited SM as a source of influence. This is in stark contrast to the 2008 and 2012 US elections, which proved the power of social media in political campaigning. Floating Conservative voters who saw a Lib. Dem party political broadcast were five times more likely to switch to be Lib Dem voters than those who didn’t see it. Floating Lib. Dem voters who saw a Conservative broadcast were far less likely to vote Conservative. Respondents indicated they disliked the negative campaigning style. Conservative posters had a strong positive influence on Lib. Dem floating voters. Live televised debates and the reporting on them the day after in national newspapers had a strong impact on floating voters, favoring the Conservatives and the Lib. Dems. What is striking is the granularity of the insights delivered, and the clear attribution to a particular touch-point and message, allowing better targeting of marketing expenditure. MESH see mobile as continuing to grow in importance as a mode of data collection. What was originally considered a gimmick is now accepted as mainstream – with the publication in HBR a critical milestone in gaining credibility. Noise around mobile isn’t hype – the continuing growth of smartphones and tablets effectively changes the way we experience the world. Research needs to mimic real-life experience. In emerging and fast developing markets – many countries in South America and Africa – mobile is actually the only form of data collection possible. This automatically makes mobile a must in these growth markets. The added value comes, in MESH’ view, less in how the data is collected, more in the way mobile data is analyzed. They have developed a suite of advanced analytic tools allowing a sophisticated mining and cutting of the data, as well as an overlay of other data sources such as behavioral. Predictive modelling using mobile data is a powerful tool, allowing clients to experiment with different scenarios of media funding allocation, showing the likely impact on preference. Understanding more closely how experiences interact – when one experience leads to another – identifying patterns, forming clusters, is another area where MESH anticipate growth. Curious, as ever, as to others’ views on mobile market research. This seems like a useful approach and methodology. I think it would be particularly valuable for uncovering communication platforms that under perform. But I do question the notion that it is more accurate. It seems to depend on creating an unusually high level of awareness and attentiveness to all sources of information; an approach that may favor some communication platforms more than others. So if I were at a major research buyer, which I’m obviously not, I’d use it but I certainly wouldn’t stop using more traditional approaches. Rather, I’d use the old and new as complements, each providing a useful but imperfect take on the underlying reality. I have a very basic concern about this methodology and it si one that I am sure researchers from every part of academe or business would share. Surely the process of tasking respondents with collecting touch point experiences must over-weight the response levels dramatically. For example we may pass a Gatorade billboard every day and frankly not even notice it. But when tasked to look for such communication I will have a much heightened awareness and report seeing the communications. Which is the marketing truth? Well certainly I would argue not the latter. Jonathan, Chris – thanks for your comments. I tend to disagree – so I wouldn’t conclude that this method is flawed until I see more data on engagement levels rising and dropping over say a 5 day period. My expectation would be that in the first flush of “search” there is a heightened sensitivity, but this would inevitably fall away, perhaps to a point where the task of recording becomes more embedded into everyday actitvity, and therefore not in a form of heightened, artifiial consciousness. Perhaps the MESH folk can chip in. I would also prefer to have the trade-off of over-recording rather than the gaps that flawed memory leaves. If I don’t have ANY record of a subtle touchpoint at all in my research data, I can’t begin to evaluate its importance and effectiverness as part of a mix. Finally, I would posit that our passive recording of media can still frame our sensitivies, even though we are not actively aware of having actually seen the media – low involvement processing stuff, perhaps (probably) Robert Heath has written on this, someone can share a publicly available link.